COLOMBO, Dec 17 (Reuters) – Sri Lanka has approved Australian Crown Resorts Ltd’s $400 million complex along with two similar projects, but without any explicit permission to operate casinos at them, the island’s junior investment minister said on Tuesday. However, Crown’s chief, gambling tycoon James Packer, would still be able to operate a casino in his mixed-development project through his local partner, the minister said. The government’s decision to alter the deal’s terms came after opposition politicians said Packer was getting concessions not given to local entrepreneurs and Buddhist leaders said the casino could be detrimental to Sri Lanka’s culture. Faizer Mustapha, the deputy investment promotion minister said a new gazette notification has been issued for Packer’s joint venture and two similar requests by Sri Lanka’s top conglomerate John Keells Holdings and a leading local businessman Dhammika Perera respectively. A gazette notification is issued after an approval by the cabinet of ministers before being presented to the parliament. “The applications are for mixed development projects, which include convention centre, shopping malls, and five-star hotels,” Mustapha told Reuters. However, he said there was a separate mechanism for operating a casino in Sri Lanka and government policy was not to issue any new casino licences, but to allow existing approvals to operate under regulations passed in 2010. Packer said in a speech at a Commonwealth forum last month said he believed the Indian Ocean island nation could be turned into a leading tourist hotspot for the rising middle classes of India, China and the rest of Asia. Government officials have told Reuters that two Sri Lankan entrepreneurs have five casino approvals among them. Packer’s Sri Lankan partner Ravi Wijeratne owns two and Dhammika Perera owns three, they have said. The Crown resort-casino complex is planned for a two-acre plot in the heart of the Colombo commercial hub. It has already been delayed once after the government asked Lake Leisure Holdings, the joint venture between Crown Ltd and its local partner, Rank Entertainment Holdings Pvt Ltd, to change its construction plans. Local media have reported that Perera, who has been running casinos on a small scale would use one of his approvals for Queensbury, a $350 million resort near Packer’s planned complex, and has committed another to Keell’s $850 million Water Front mixed-development project. He has also planned to lure one more U.S. or Asian gaming brand for a third casino approval to build 500-700 room complex also near Packer’s resort. Sri Lanka’s Buddhist leaders have repeatedly urged President Mahinda Rajapaksa not to allow casinos, saying they are detrimental to the culture of a country that is a predominantly Buddhist and where gambling is not approved of morally, despite the intermittent presence of casinos since 1990s. Crown has confirmed it was in detailed discussions with the Sri Lankan government and potential joint venture partners regarding the development of a 5-star integrated resort. 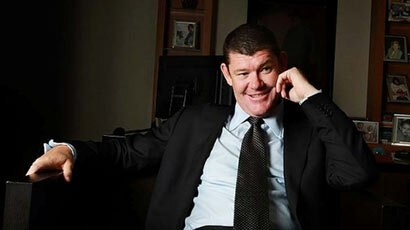 Packer, one of Australia’s richest men, has been in talks since February with the government about the integrated resort and investment options as he expands his global gambling business that includes casinos in Australia, Macau, Britain and the United States.